Kelly Hoehn is a double alumna of the College graduating with a Bachelor’s in Childhood Education in 2007 and her Master’s in Literacy in 2008. 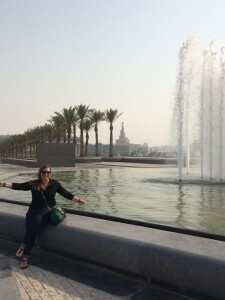 In this blog “mini-series” Kelly will share the details of her experience teaching internationally in Qatar. In pt. 1 of this series, Kelly discussed her decision to leave a great job in the States for an exciting new opportunity. In pt. 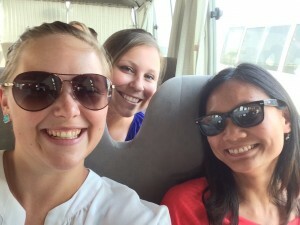 2, we’ll learn a little more about teaching in a new country! The process for teaching internationally was long and expensive. Fortunately, the Qatar Foundation (the foundation of which Qatar Academy Sidra belongs) reimbursed me for all of my medical, visa, and authorization expenses. By the end of August, after many hours spent with friends, visits to Maine, and a going-away party, I was ready to fly to Qatar. Leaving my family was the hardest part and it was one of the most difficult experiences I’ve had in my life. I’ll be honest in saying that the first night I arrived in Qatar to a big, empty apartment, I was truly questioning whether this was the right decision. The following day, QA Sidra began our two-week new employee training and my mood completely changed. I was welcomed by the administrators and made fast friends with the new employees. For the next two weeks, I got to know people from all over the world who had decided to make the same move I did. I now have friends from England, the Phillipines, South Africa, Australia, New Zealand, Qatar, and many more countries. It was comforting to know that people from all over the world were feeling nervous and excited just as I was. I am grateful to the administrators of QA Sidra for setting up two weeks of orientation. They supplied trainings, paid for us to travel around the city and visit local spots, took us to brunch, and many other social events. As a new school, being only a few years old, our year was off to a shaky start. I was a new teacher in the school and we also had new administrators replacing last year’s. It took us a few months to develop and perfect school policies, but knowing we were all in the same boat, we went with the flow. We are still working out kinks but so far, this year has been wonderful. I teach 4-year-olds which we call KG4 and have students from different backgrounds as well. I have American students, Qatari students, British students, Palestinian students, and many others. Our students come from different cultures but– kids are kids! They all enjoy playing together and do not notice what is different about them. 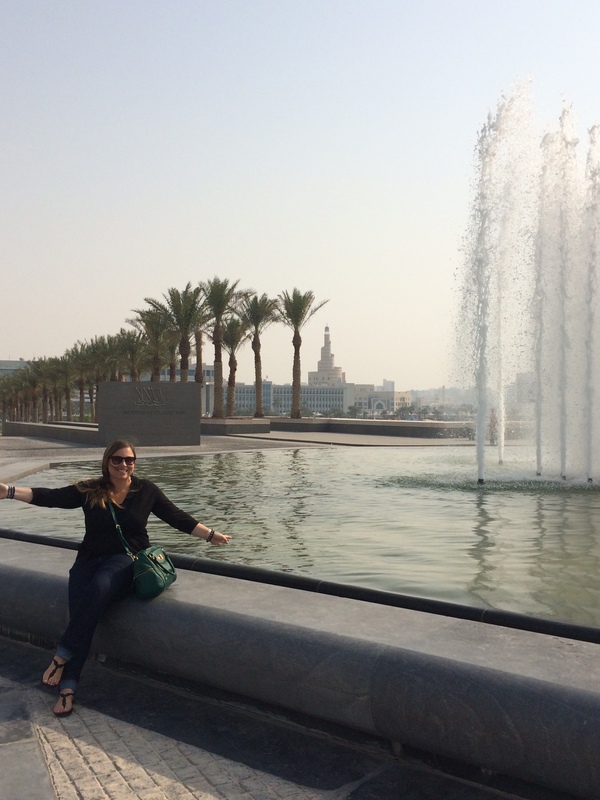 Check back for the final installment of our adventures with Kelly as she tells us all about the fun she’s having in Qatar and what’s next for her.